Oliver works exclusively with Life Science companies and supports Richard in managing the Life Science Tax team at FTI Consulting. Latterly Oliver worked in industry where he was responsible for all taxes across the EMEA region for a multinational US listed group. 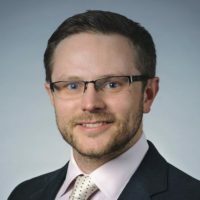 Prior to that, Oliver spent ten years in ‘Big Four’, working across a number of tax areas including Corporate Tax, Employment Taxes and the Tax Technical knowledge team. Oliver holds a BSc in Biochemistry from Imperial College, London and is an Associate of the Royal College of Science.